The team at Fera would like to offer a complimentary welcome glass of cava when booking a table for lunch or dinner. Just pop “MallorcanTonic – Free cava ” in the subject box. 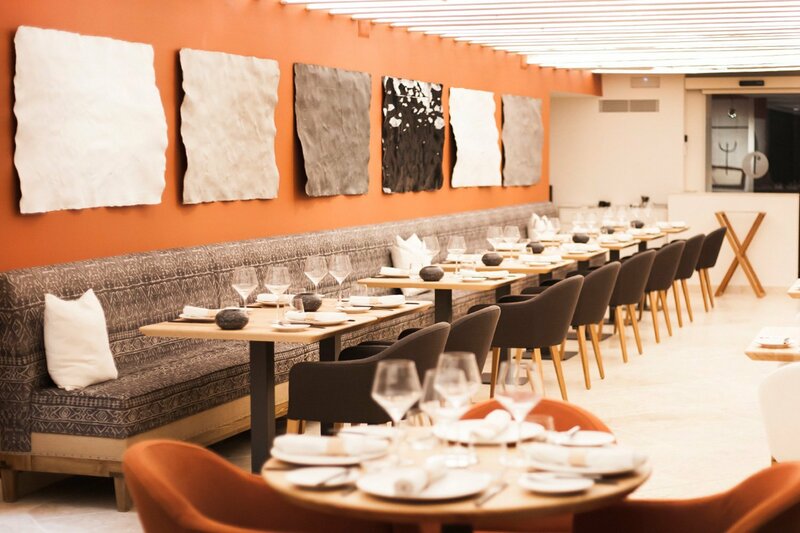 Palma´s restaurant scene is going from strength to strength and one of the newest to open in the capital is Fera Restaurante, a second venture by couple Sheela and Ivan Leevy following the huge success of their restaurant ` The Kitchen´. 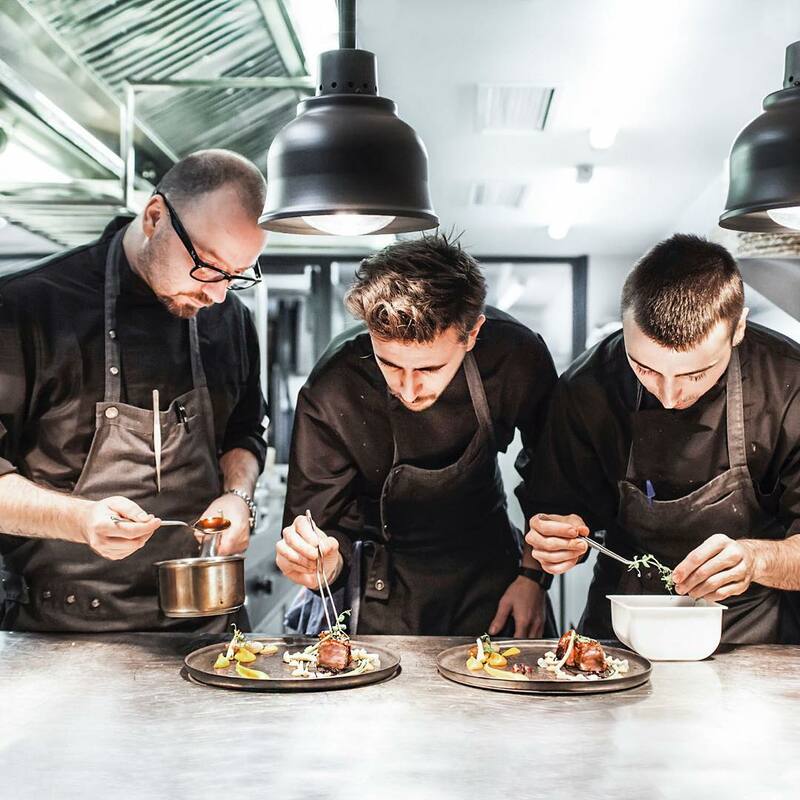 Headed up by the hugely talented Austrian chef Simon Petutschnig, previously of the award winning Hotel Sant Francesc, Fera Restaurant is guaranteed to be a hit. 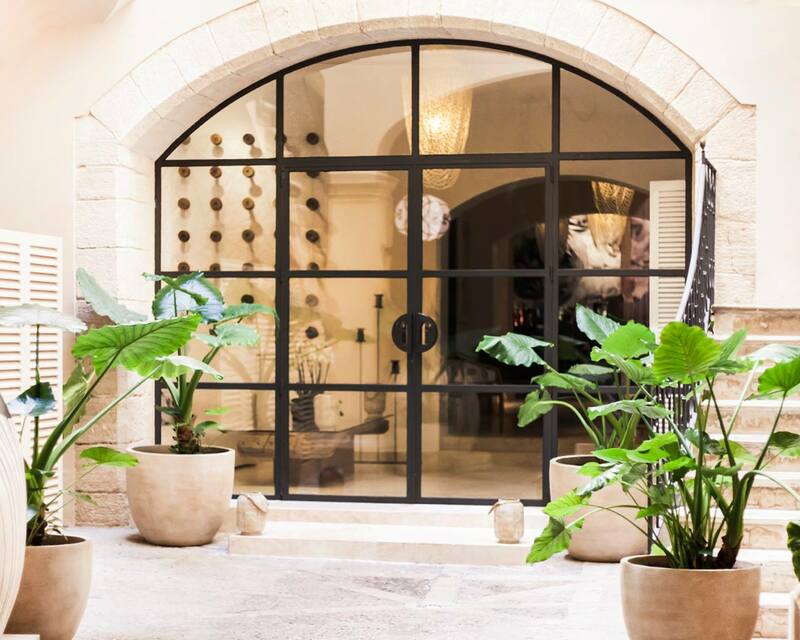 Situated just moments from the classy colonaded shopping street of Jaime III in one of Palma´s old palaces, I guarantee you will be wowed as you enter the expansive arched entrance. The interior design is sumptuously modern offering a welcoming bar area, with just a couple of steps up to the dining area which is flooded with light. But its the food that you will have come for and you will not be disappointed. 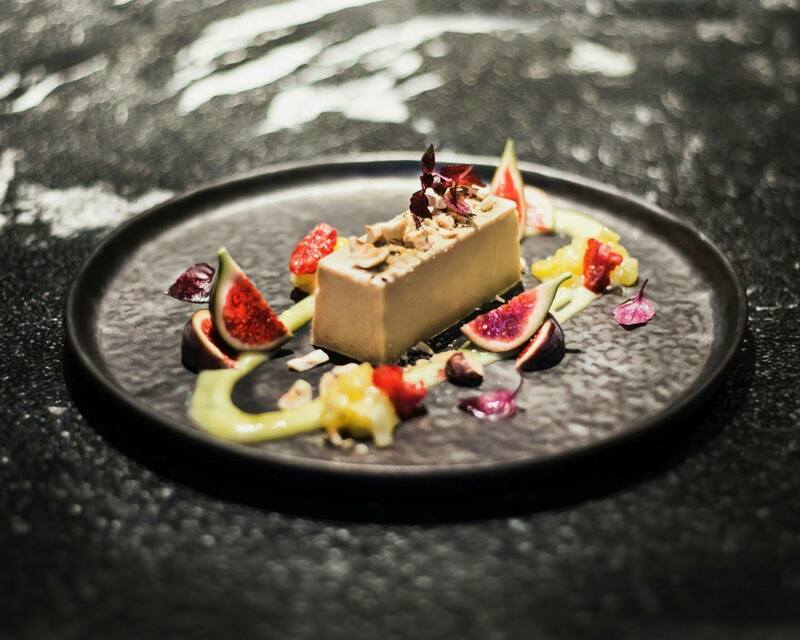 Offering Mediterranean- Asian flavours and textures, the menu devised by chef Simon and his team will delight whether you are stopping for a relaxing lunch or an evening tasting journey. The set lunch (which changes bi weekly) is a steal at just €22.90. On the day I visited I selected the beetroot carpaccio with honey and walnut vinaigrette and, for my main, the duck ravioli with sweet potatoes, balsamic spring onions, ruccula and lemon. Both were exquisite and my mouth is watering just remembering! 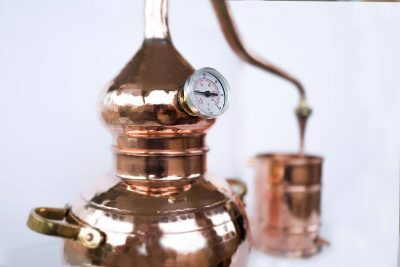 In the evenings you can choose from the a la carté menu offering a wide selection of choices including several traditional Mallorcan recipes, each with a twist, or from one of the tasting menus, one of which is vegetarian at just €49.00. In addition to lunch and dinner, the chic bar area is open all afternoon and into the evening offering drinks and a good selection of tapas if your feet are weary and you are in need of a sit down and a snack. 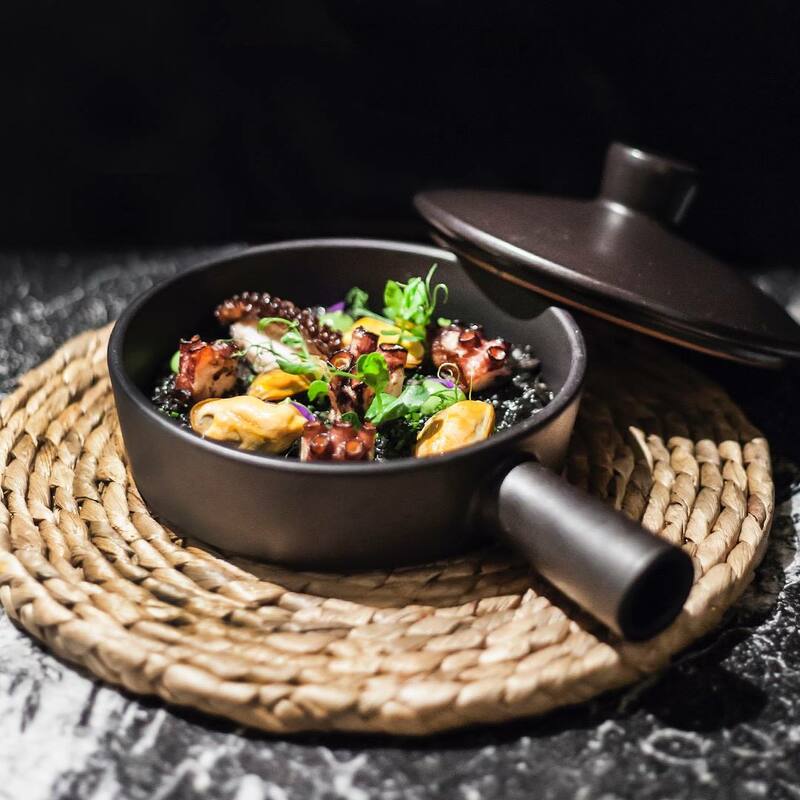 Whether you need a cool dining room on a hot summer´s day or fancy a seat in their private garden terrace (weather permitting) or are looking for a warming winter meal, then make sure to seek out this new treasure of Palma´s culinary scene.